“Out of the calculations of how many times I’ve caked people, I think it’s about 15,000 people at this point," said Aoki. Steve Aoki, the two-time Grammy-nominated, international producer/DJ/entrepreneur, is rolling into Philadelphia for a concert at the Fillmore this Sunday, hoping to provide his fans with a "Kolony" experience that they won't soon forget. 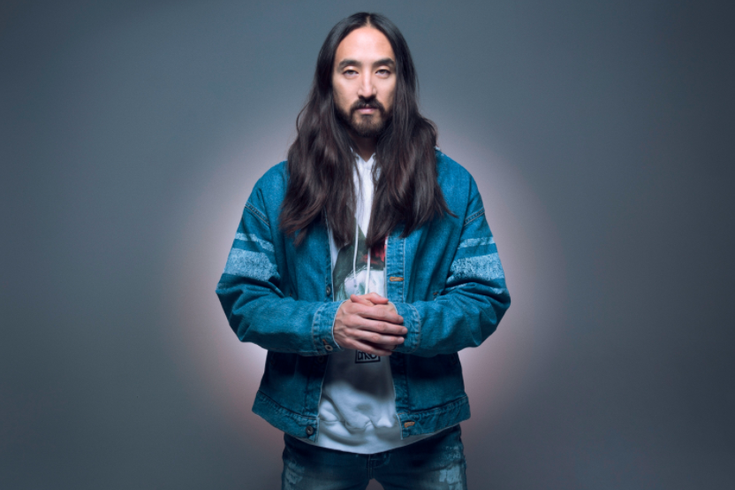 As Aoki explains, talking about his latest album, "Steve Aoki Presents Kolony," "'Kolony' was an album that was entirely inspired by hip-hop and EDM, which is a tallying of our American culture now. Hip-hop is really part of all music now. In any case, it is all about being lit and getting crazy." "Kolony," which debuted at #1 on the Electronic Music charts, and features the likes of Lil Yachty, Migos, 2 Chainz, Gucci Mane, T Pain and more, marks Aoki's first full turn into rap music. So what can his fans in Philadelphia expect at his upcoming show? "Every time I play in Philly, it’s insane. I literally remember how insane the shows are – so I have a high bar of rage for Philly," he said. “When I am in the studio or making music, I'm thinking about the crowd going crazy with me. So that's my expectation: That we are going to get lit the entire time; it’s going to be sweaty; it’s going to be crazy." As he goes on, Aoki's eagerness about coming to Philadelphia is palpable. "I have been coming to Philly for years. There is no way I would do a bus tour without coming to Philly. No chance. I just have to be in Philly." For those who have not witnessed a Steve Aoki show, champagne, inflatable rafts, and sheet cakes figure prominently in the performance. When asked to describe the odd mixture, Aoki said, "There is definitely going to be cake flying around, and people are going to have cake, and, you know, champagne. It’s going to be a fun show and it's going to be messy for sure." Ever wonder if Aoki’s cake-throwing shenanigans ever start to feel forced, as he repeats them night after night? Spoiler alert: It never gets stale, not by a long shot. “Out of the calculations of how many times I’ve caked people, I think it’s about 15,000 people at this point...the second I take the cake up – that cake, the next person that is screaming for the cake, that made a sign that may have taken them two days to make or whatever...when I cake them and see the expression on their face, and they are screaming and showing everyone in the room their badge of honor, of getting caked – it’s the best feeling ever, it really is. It never changes." Aoki’s entertainment antics have been well documented, but he described one particular time at a show when a fan from the back of the club found a way to climb up the side of the wall, "Spiderman-style," grabbed onto a wooden beam that traveled from the back of the warehouse to the front, traversed the dance floor and gave Aoki a high-five from above. Cakes fly, champagne flows, and rafts set sail on a sea of frenzied fans, but there is more to an Aoki show than hip-hop-infused dance music and partying. Aoki, who averages more than 250 tour dates a year, combines his larger-than-life entertainment with charity. That’s an added bonus for show attendees because for every ticket sold on the "Kolony" tour, $1 is donated to the Aoki Foundation. “One of the best the things that I was able to incorporate when I actually first started this fund five years ago, around my first bus tour, was that we’re all in this together," he said. "So it’s not just about me – it’s about us. We are partying, but now we are also pulling in that money that we are all part of, to help humanity. At the end of the day, we are here to make lives better, with less suffering. Steve Aoki spins at the Fillmore on Sunday, Feb. 11. Aoki is also the founder of the record label, events/lifestyle company, and apparel line Dim Mak. Since launching in 1996, Dim Mak Records has become a launchpad for seminal acts such as The Chainsmokers, Bloc Party, and The Bloody Beetroots. Known for collaborations ranging from Snoop Dogg to Linkin Park to JJ Abrams to Migos, Aoki's debut artist album was nominated for the Best Electronic/Dance album Grammy. Aoki recently received his second Grammy nomination in the Best Music Film category as the subject of the 2016 Netflix Original documentary, "I’ll Sleep When I’m Dead," which premiered to a sold-out audience at the Tribeca Film Festival. 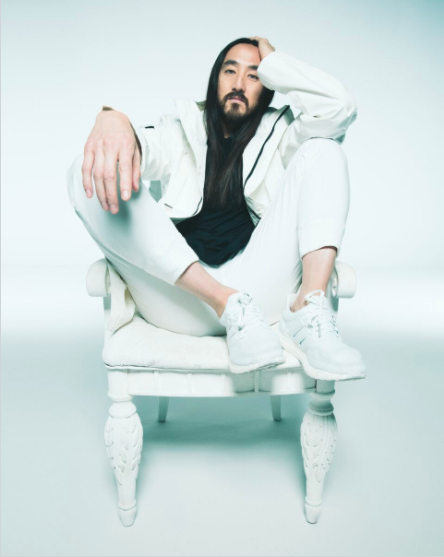 Asked his predictions about the future of the EDM scene over the course of the next decade, Aoki said, "The thing is that EDM is based on experiential energy, and that’s why EDM became EDM. Before electronica -- before it was rave -- before it was underground in these underground clubs -- it became a festival experience. It became something you can only experience when you were with large amounts of people, and you can never take that away, that human experience, so EDM is here to stay, though the sound of EDM, of course, is going to change over time. It’s going to cross-pollinate; it’s going to cross-collaborate with other genres." Aoki called Philadelphians "bar none -- one of the best crowds in the United States." His "Kolony" tour invades the Fillmore on Sunday, Feb. 11. Tickets start at $36. Show time is 8 p.m.